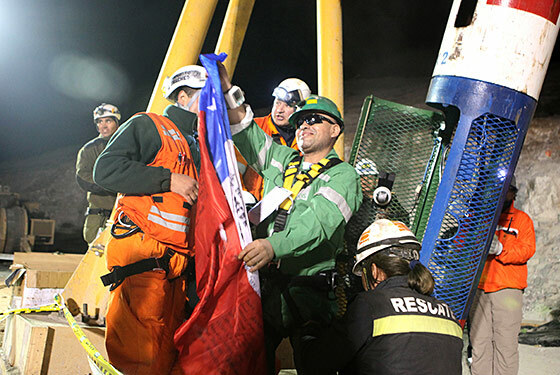 As I write this blog, the 32 Chilean miners and one Bolivian are being extracted from a collapsed mine in San Jose, Chile after 69 days of being trapped underground. The entire world is waiting anxiously as each miner emerges from below. In preparation for this day, the miners have gone through media training. All in an effort to prepare to face the microphones and cameras as the international media stands by watching each man appear. 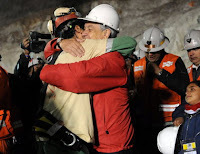 Psychologist, Alberto Iturra, oversaw the miners’ mental and emotional health during this ordeal, says they were taught techniques on "remaining poised during an interview, asking the interviewer to repeat the question if they don't understand it, and how to say that they prefer not to answer" a question. I have read rumors of book deals, TV and movie deals all being in the works for the men about their amazing story. A lot of excitement awaits them after their rescue and it is important for every one of them to be prepared as they are thrust into the spotlight. I'm sure today's media attention is only the beginning of many interviews and TV appearances for these guys. Some tips to keep in mind when preparing for a media interview can be found on ThePRLawyer blog’s Timeless Media Relations tips.